The capital of Norway is far from basic. A city popular for its ample green spaces and Viking history, Oslo is surely a sight that you will remember. Located on the southern coast of Norway, Oslo’s marine culture is abundant. Oslofjord, an inlet in the south of the city, is a beautiful sight and a popular destination for tourists. The inlet houses a lighthouse and is used for fishing, sailing, and outdoor recreation. The Viking Ship Museum is an astounding attraction that should not be missed. Learn about Oslo's Viking past, check out some of the cool archaeological findings, and see its three impressive 9th century Viking ships. 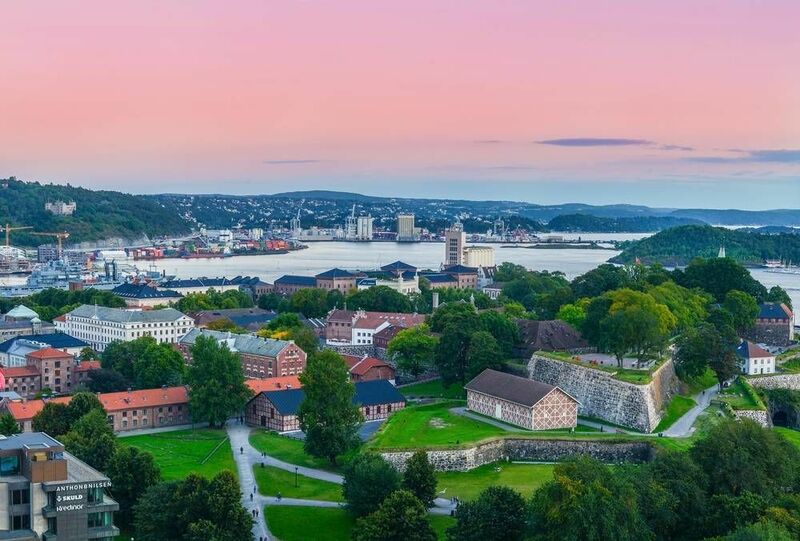 Akershus Fortress is another cool spot to visit when in Oslo. This is a medieval castle and fortress from 1290 that was once used as a castle. The culture of Oslo is closely linked to Norway's history and geography. Literature, film, music, and photography are surprisingly abundant in Oslo as well as in Norway. As well as fine arts, Oslo enjoys a very elegant cuisine and is home to some of the best restaurants in the country. When visiting Oslo, try some of their renowned Norwegian dishes including Rakfisk, a Norwegian fish dish, and their open faced sandwiches. Many of Oslo’s main attractions can be found around Jernbanetorget (The Tiger). For this reason, tours on foot are the best, and cheapest, way to see the city. This 90-minute tour will take you on an adventure around Oslo and its many sights. Check out the top sights in the city including The Oslo Opera House, Oslo City Hall, the National Theatre, and the Norwegian Parliament. Discover the main attractions of this charming Scandinavian city while mingling with the locals and immersing yourself in the culture. For those looking to familiarize themselves with Scandinavian art, the Oslo Art Tour is a perfect choice. For approximately 2 hours, learn about Oslo's captivating past, music, and contemporary art. Walk through the streets and see first-hand how Oslo's history has manifested itself in the architecture and the art. Learn about Oslo's musical history, street art, top galleries, and underground music scene. Below you can find more popular (but not free) activities and tours in Oslo. Are you from Oslo and want to be a tour guide? Please get in touch by submitting your details on this page!